Pure Life Renal is a dialysis company looking to partner through new clinic development or acquisition with nephrologists that want to be relevant and influential in their partnership. We provide nephrologists greater autonomy and freedom in managing their patients’ care. We provide the business and operational management tools along with the necessary administrative structure that enable our physicians to concentrate on care in a well managed environment. At Pure Life Renal, we value the industry knowledge and clinical expertise that our physician partners bring to the table, which is why our agreements substantially reflect the concept of equal partnership. Not only will you dictate the clinical decisions for your patients, but we also encourage and welcome you in other decision-making aspects of our facility. You can be assured that while you focus your time on patient care, we are working to provide you with excellence in the day-to-day operations, management, and promotion of your facility. Being a physician partner with Pure Life Renal means having the freedom to exercise your professional judgment to make medical and clinical decisions, all of which is in the best interest of our patients. We understand the importance of professional autonomy and clinical independence, not only as an essential component to high quality medical care, but also as an essential principle of the medical profession. This is why Pure Life Renal dedicates itself to maintaining and assuring our partners’ continuation of professional autonomy and clinical independence. We are sensitive to your needs and engage in open lines of communication and collaboration so that you remain involved and aware. We manage the day-to-day operations of the facility so you can focus on doing what you do best, taking excellent care of your patients. Beyond the clinical decisions, we welcome your thoughts and input on other operational aspects of the facility, including the hiring of staff. We ensure that our staff has all of the training, support, and resources available to complete their jobs to the best of their ability. The happiness of our dialysis staff has a direct impact on the quality of care provided, as well as patient satisfaction. Pure Life’s partnership model allows you, as the nephrologist, to retain a significant minority equity percentage in your facility, with your initial investment being based on the percentage of ownership you receive. Our joint venture model maximizes the clinic’s ability to succeed by aligning our incentives with those of our nephrologist partners. Our physician-driven partnership structure is especially well suited for the delivery of dialysis services, and it typically translates into better patient outcomes and consistent clinic operating performance. As a physician partner, you are the Medical Director of the facility and primarily responsible for the following: the clinic’s quality assurance program, approval of the clinical and technical procedures, and overseeing the orientation and training program for the staff. Other physicians are also able to admit and see patients at the facility. We, in turn, manage all of the operational and financial aspects of the facility. Our model allows patient needs and preferences to be managed by those who know them best—you, the physician. Our model also takes advantage of a centralized management function and implementation of best practices across our facilities. Pure Life Renal is interested in acquiring both individually owned clinics and multiple facility operations. We typically acquire centers owned by established nephrologists who wish to realize a significant portion of the value of their facility. Our acquisition model allows you to maintain minority ownership in the facility, and we prefer that you continue as a partner with us as each clinic continues to develop and grow. You continue to be the Medical Director of the facility, and we manage all of its operations. Once the acquisition is completed, Pure Life Renal focuses on a seamless transition as the clinic is integrated into our organization. Pure Life Renal provides comprehensive management services to its facilities at a favorable rate when compared to competitors. These services ensure that our physician partners can devote all of their attention to high quality patient care. We understand that patient care is your top priority. We do not dictate clinical or medical decisions; you do. You do not have to manage the daily operations of the facility; we will. Our partnership agreement, created under the concept of equal partners, reflects our trust and belief in your decision-making abilities. 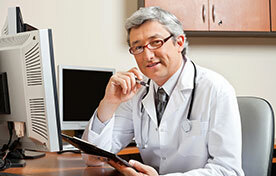 You can be involved in many decision-making aspects of the Pure Life Renal center you are a part of. You build this asset with us, assuring it is an asset of which you can be proud. You receive periodic distributions from the available cash flows of the center. Our corporate team meets with you periodically to present and discuss clinical and operational matters, as well as the financial results of the center. Our corporate team is committed to being responsive to your needs, in addition to maintaining an ongoing dialogue with you to keep you involved and informed. We are supportive of new trials that you choose to take part in as you deem fit for your patients. We are focused on staff satisfaction and retention, because keeping the best people within our facility assures the best service for your patients. Your suggestions are always welcome—and are taken seriously. In summary, we are not in this business to control you. We want you to practice medicine the way you believe is best for your patients. We also want you to know that you can call us and discuss any issues or concerns you have … and rest assured in the fact that we will resolve them together, as true partners should.